If the formula works, stick to it. Better yet, embellish on it and make it superb. 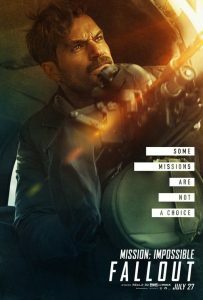 If this is the maxim that brought superstar Tom Cruise to work again with writer director of Mission Impossible: Rogue Nation, then it proves that it works in the highly thrilling adrenaline fuelled sequel Mission Impossible: Fallout set mainly in London and Paris. Cleverly bringing elements of the original 1996 Mission Impossible, the tightly controlled script adds some new characters in the form of the gorgeous blond femme fatale White Widow wonderfully played with suitable panache by The Crown star Vanessa Kirby who plays the daughter of the elusive espionage facilitator Max, played by Vanessa Redgrave in the original Mission Impossible. 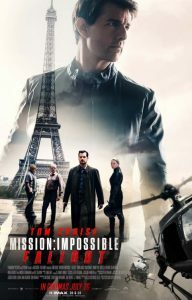 Simon Pegg, Ving Rhames and Michelle Monaghan reunite with Tom Cruise once again reprising his role as the IMF agent Ethan Hunt in a convoluted double crossing narrative in which arch enemy Solomon Lane played by Sean Harris is extracted in a daring sequence on the Parisian streets. Newcomer to the franchise is Henry Cavill (The Man from U.N.C.L.E) as CIA assassin August Walker who brings a whole new level of male rivalry in the testosterone fueled action sequences containing Walker and Hunt. 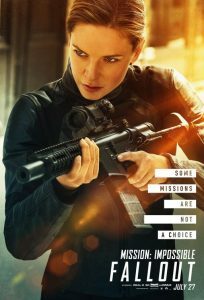 Rebecca Ferguson returns as the lethal Ilsa Faust who is moonlighting as a Mi6 agent but secretly helping Ethan Hunt and his team. From a spectacular rave sequence in Paris to the exteriors of The Tate Modern in London, Mission Impossible Fallout is a brilliant, gritty action film which proves that the combination of McQuarrie as writer and director and Tom Cruise as star is a winning formula. 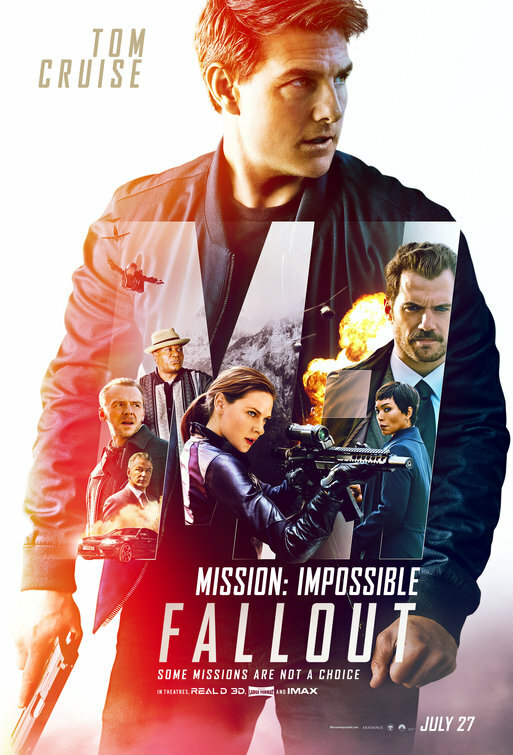 Unbelievable helicopter stunts over Kashmir and a chase sequence in Paris, makes Mission Impossible: Fallout a must see action films especially recommended for fans of Rogue Nation and Ghost Protocol. 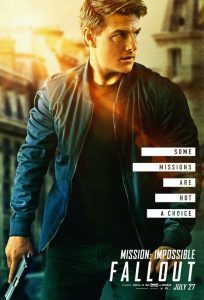 Ethan Hunt’s best intentions fallout as everything goes south literally in this superb sixth installment of the hugely successfully spy series. Highly recommended viewing and possibly one of the best so far, Mission Impossible Fallout gets a film rating of 9 out of 10.